Thread: Bling Bling for my single speed. 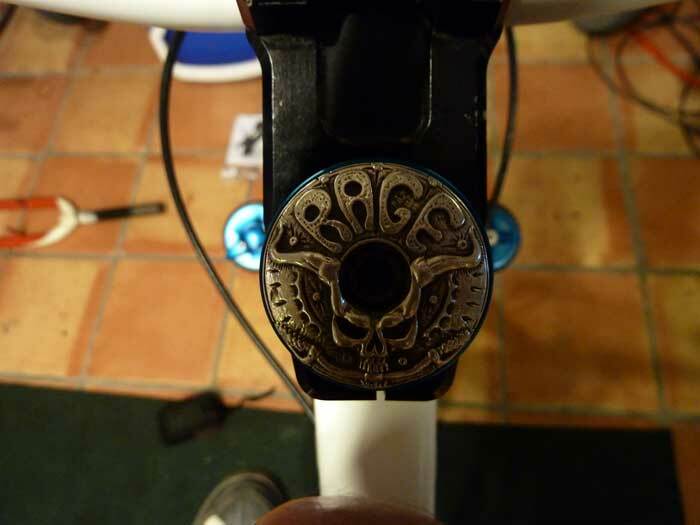 I can't thank my friend enough for giving my such a great gift, a custom Hoss Rogers head tube badge! Very special and honored by this gift. Very cool. I have one Hoss did for the FOTP a few years ago. thanks guys, Hoss does amazing work. Highly recommend supporting this local artist/cyclist. I only have a few of the silver pins he's made. 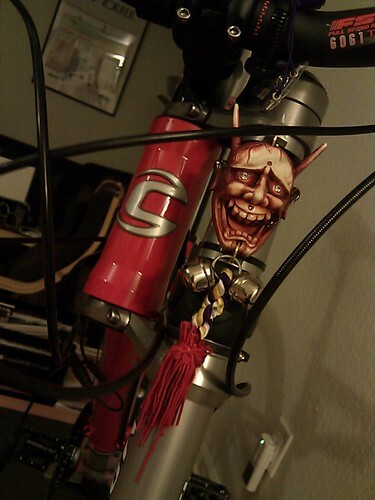 I was AWOL from the flight the year he made a head tube badge. that's killer - I was waiting for the description in the passion post, now I see here. pretty cool. I've been hoping this would happen again! Hoss was on the IR this year after having surgery. Maybe next year? Had this one made for my wife a few years ago by Jennifer Green (https://www.headbadges.com/)in Philly. Not as creative as some, but it was very much appreciated and is still on her bike. How are they attached to the headtube? Epoxy? I think I see some grey adhesive on dtown's wifes bike. mine is held on with an industrial sticky tape. as for price? It's made of silver and is a one of a kind piece of art. I really don't know. Epoxy is correct - she does make them with screw holes if that is what you want. It has held on for 2+ years - and we ride ALOT. Don't remember the cost, but it was not extravagent. 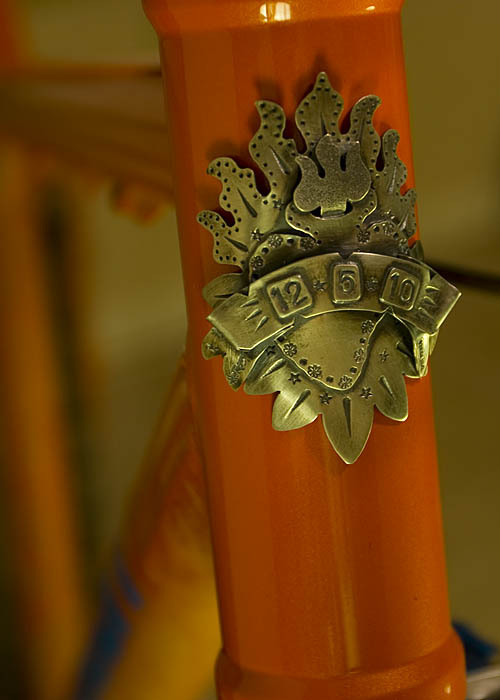 The headtube badge is sterling silver and was a birthday present for my girlfriend - it also came with an engagement ring (made by Ms. Green as well). The GF was impressed enough to say yes. I think the epoxy will do just fine, heck, even some of these industrial double sided tape that Brian used are pretty strong.